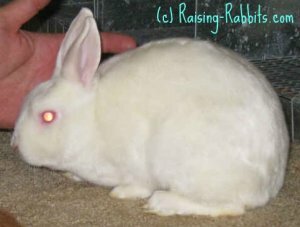 Let’s look at different types of rabbits by checking out their fur - or wool in some cases. Because, there are so many rabbits to choose from, and they're all so different! 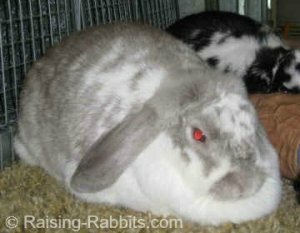 Normal rabbit fur is the fur on every rabbit that isn’t rex, satin or wool. This amounts to 37 breeds that have normal fur. Fur length can run from 7/8 to 1 1/2 inches. Each breed standard indicates their ideal length. Every hair follicle, counting guard hairs and undercoat, contains roughly 14 hairs. Because of differences in all these various breeds, some normal coats behave in a different manner than other normal coats. Breeders talk about fly-back fur, or roll-back fur, and different densities and textures create the fly-back, roll-back or other coat behavior. 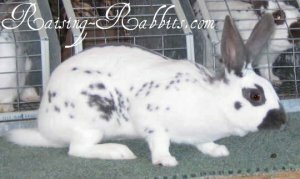 The coats are all classified as normal fur, but for more information, please see the individual standards of perfection - or national club websites at All Rabbit Breeds for the breeds in which you’re interested. If a hair follicle of a normally furred rabbit contains about 14 hairs, a rex hair follicle might contain up to 50 hairs each. Rex fur is 1/2 inch to 7/8 inch in length. Rex in the UK have the shorter fur, which is amazingly even in length. The ideal length in the US is specified at 5/8 inch. It’s very dense, and plush to the touch. The fur stands straight up, with guard hairs being the same length, ideally, as the undercoat. At one time years ago, breeders were trying to add a "rexed" variety to every breed imaginable. Breeders finally created a separate breed altogether and called it Castorrex - "king of beavers," referring to the variety of rex that today we call castor ("in color like a beaver"). This name was quickly shortened to simply Rex (King), when other varieties were created. 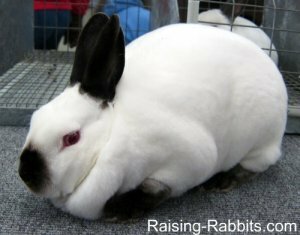 Rex rabbits now come in two sizes: Standard (7 1/2 - 10 1/2 pounds), and Mini-Rex, which weigh in at up to 4 1/2 pounds. Density of fur in Mini-Rex has been inferior to standard Rex, however with Mini-Rex becoming one of the all-time most popular breeds, the fur quality has taken huge leaps forward. Pet a rex - the rex fur should be so dense and upright as to resist the pressure of your hand. It's hard keeping one's hands off them! Satin fur is of a standard length, however the hair shaft is narrower in diameter, and somewhat transparent. The combination of these two factors deepens the intensity of the color, and makes the hair shaft translucent. The ideal length of angora rabbit wool on the standard-sized angora breeds is generally 4-5 inches. The smaller ‘wooly’ breeds have wool that is a bit shorter, logically. Angora rabbit wool is soft, light-weight and very warm when spun and knitted into garments. 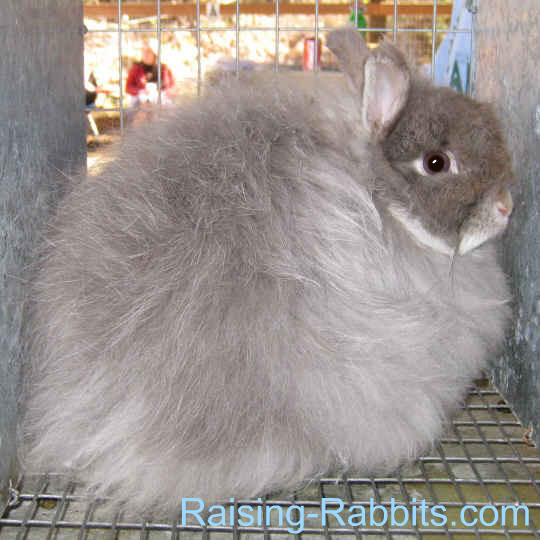 All angora breeds require significant amounts of time for grooming, English Angoras most of all. Some lines of angoras shed and some don’t so much. The wool on animals that shed can be plucked. Angoras that don’t tend to shed can be sheared. 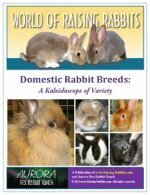 The newest breed to be recognized by the ARBA is the Lionhead rabbit. Lionheads have a mane of wool around the head and neck, and often a skirt of wool along the lower parts of their sides and hindquarters. Which of these different types of rabbits most interests you? 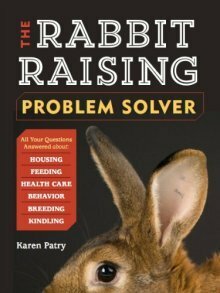 Go to All Rabbit Breeds to learn more about a particular breed of rabbit.